well blogged. This was our experience at EC. The peer-reviewed stuff allowed us generally unassailable quotes to use and papers(or at least citations) to brandish (peer reviewed makes an impact) while the bulk of the work was practical, done relatively quickly and painlessly in house and also had a huge impact, well beyond our own Dept. There are peer-reviewed alternatives to journals that are more appropriate to much of KMb. Check out CES4Health.info, for peer-reviewed publication and dissemination of diverse products of community-engaged work. Each product submitted is reviewed by community and academic peers. Products published include videos, policy briefs, technical reports, online curricula instructional manuals, podcasts, etc. It provides authors with data on the number of product downloads and captures user emails to follow up and find out how the product is being used. cES4Health.info is helping to increase the academic legitimacy of these products and more importantly making them widely accessible. hosted blogging service WordPress.com is growing fast with over 6 million new blogs in 2010 and pageviews up by 53%. Media uploads also doubled to 94.5 terabytes of new photos and videos, while new posts were up 110% to 146 million. Meanwhile, mobile WordPress blogging is on the up. The company’s userbase for its mobile apps increased 700% to 1.4 million in 2010. That’s access. I doubt any academic journal can boast that degree of traffic. That’s an excellent breakdown. The shift toward non-hierarchical online publishing models also underscores the importance of professors developing an online presence (or brand if you can bring yourself to use that word), particularly for graduate students and younger faculty. I agree with most of what you say. We also need to get faculty better at writing for blogs. Our own blog is usually written by KE professionals as most academics used to the pace of peer review find it hard to turn out something quickly and in fewer words. I quite agree with the comments and it certainly seems to be the case that the peer-reviewed network, although remaining the major force in academic research, is finding itself realising that it cannot and should not continue on its current path. The freedom to access information, to publish papers without restriction or rejection and to have a communicative capacity is very much the major function of any blog and the academic community must realise that potential. It is entirely possible to argue that the academic community, in respect of peer-reviewed articles, is yet to grasp the concept of Web 1.0, let alone Web 2.0. While other industries sail forward, the academic/education sector still lies at the feet of the internet, wimpering and cowering away in fear that its closed community will suddenly be opened by the white shining light that is the internet. The emphasis on peer-review as the “currency” of faculty shows itself for what it is – restricted to the field of university. But research is now beyond academia to be inclusive of community. The peer-review system does ensure a rigorous form of accuracy, but knowledge is not a stagnant thing – it evolves and continues thanks to participation of many minds. What may be “accurate” one day may be out of date within the time it takes to get the research published. Some contributors may not be considered so-called “experts” in the particular research field, but the growing blogosphere and use of social media for knowledge mobilization is creating a more efficient and contributory mode of sharing and learning from a multitude rather than a few. The fact that there are several comments posted in support of blogging and the more immediate use of social media as a form of mobilizing current research over the drawn-out process of peer-review is an indication of a change of view over peer-review. There’s some great insight and resources in these comments. Thanks to everyone for contributing and to ResearchImpact for -again- posting thought provoking and relevant blog posts about research and knowledge mobilization. “PAYBACK: I am not an academic. Unlike scholars seeing tenure and promotion based on their publications, my publications do not have an impact on how my performance is measured.” – this is a funny, a ‘very-true’ reality too. Unfortunate I would say. One would think that those who are looking for promotion and recognition would be the first to step forward and say’ I want my research to reach wide and far… I want my hard work to be available. I wnat it to be read and taken to the next step’. But No. That’s of course because the structures and rules they have to comply with in order to get where they want to be say different. And once they get there, often in times, they just carry on doing the same old same because by then they have been acculturated into that process. It’s a shame that academia is seen more as an agent of continuity than that of innovation. A pity really. Let’s hope that those who haven’t got much to ‘lose’ (because they are already well established in their careers) are able to make the necessary dent to make effective and meaningful change: re-purpose and attribute new meaning to the (not so much publication) but rather communication of research. First off, WOW. Thanks to all of you who commented. From my perspective the comments are more valuable than the blog itself as they illustrate the broader community’s perspectives. Thanks to Rahma Osman for posting the additional resources available at CES4Health.info. I’ll definitely be checking those out as options for disseminating our findings. A couple of you also mentioned the new frontier of web 2.0 and how faculty are not embracing the benefits of blogging and other 2.0 tools. A few of our faculty blog but that is an individual undertaking and certainly not something that is recognized by their scholar peers. I also appreciate the comment by Cristina Costa who questions the currency of peer review itself. We know that peer review is a system built to reinforce the hegemony of the Peers and as such it remains unquestioned but begs questioning. There you go Christina. An invitation to blog about the currency of peer review. Thank you all for a great response to this post. Your comments are important to inform our KMb practice. I am a knowledge broker at York University and work alongside David Phipps, Director of Research Services and Knowledge Exchange, who authored this blog. In my role as a knowledge broker I inform academic researchers that engaged scholarship can effectively compliment traditional academic practices (such as developing scholarly publications) and support them through engaged scholarship processes. And the ‘currency’ point which was raised in this post is a significant one, as I have had university researchers decline to participate in project opportunities because of pressures they felt to contribute toward their scholarship in ways that are recognized in the tenure and promotion process. While I acknowledge and respect this, my work in knowledge mobilization is to support the development of a research culture that is broader and more inclusive from the traditional, more purely scholarly practices (such as peer reviewed publishing). Building a research culture, or shifting/expanding acceptable research practices take time. It is my opinion that there is an emerging shift in thinking; the work my office is involved with and that colleagues of mine across Canada are also supporting is evidence of this shift. I am sharing this only to let you know that publication mechanisms is only one spoke in the scholarly wheel. Almost 14% of faculty at York U have been actively engaged in the knowledge mobilization unit since 2005. And while many have been able to use this experience to support the advancement of their scholarship, I am excited that blogs and tweets are arising from some faculty research projects, evidence that some are seeing the value in this approach to share results of their research. To me, that’s the real tipping point. Awesome comment that Michael Johnny included about this peer-review blog post. Truly from the perspective of a Knowledge Broker you are presenting your bridging and broader skills of university community outreach while still recognizing the current reality of the peer-review process. 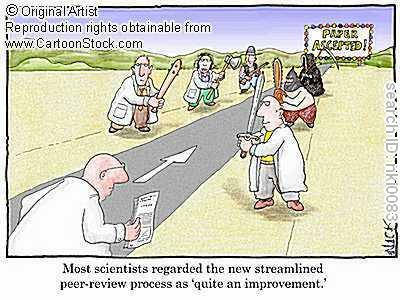 We still need to work with the process we’ve got, but like all paradigm shifts, it make take awhile for peer-review to evolve. Perhaps a combination of the two would be wise? I love how this post is still getting the occasional comment. 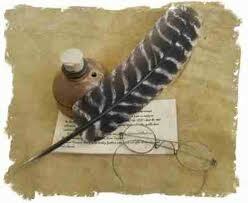 Russ (Feb 10) suggests a combination of blogging and peer review might be needed and I agree. These two forms of dissemination serve different purposes. They are not mutually exclusive unless you want to publish in some high impact journals (Cell, nature, Science) that, I believe, require manuscripts that have not had data published elsewhere. Apart from that, many of the thoughts we have eventually moved into peer review were published first in our blog. Pingback: Redefining peers / Redéfinir les pairs « Mobilize This! Pingback: Recapping the 2011 Most Viewed Blog- Knowledge Dissemination: Blogging vs Peer Review « Mobilize This!